Making sure everyone knows their rights. We, the people, are self-governed, so government data and meetings are accessible to all of us. We appreciate those who serve the public and when we want or need access to this information, the responsibility is ours to get it. 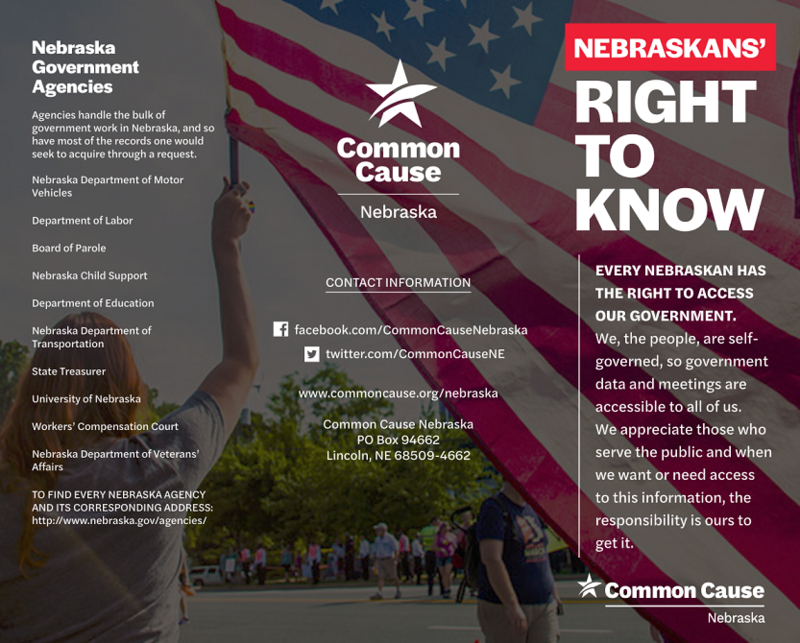 In an effort to help Nebraskans understand their open meetings and public records rights, Common Cause Nebraska created a brochure that summarizes the basics that every engaged person should know. From how to submit a record request and what to think about before you do, to what rights the law specifically grants you at a public meeting, the brochure is a go-to resource for engaging with government at every level.